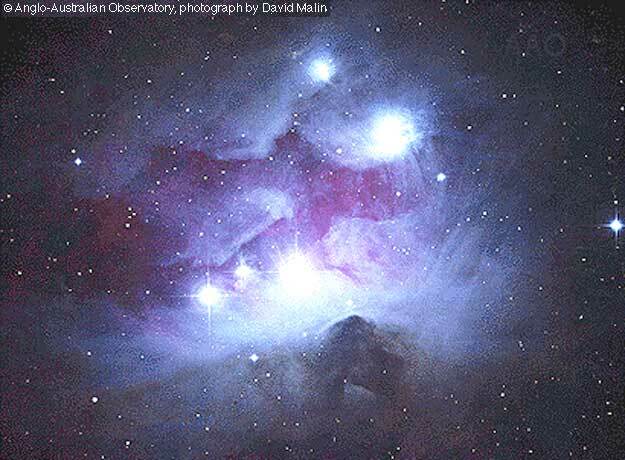 Explanation: The Orion Nebula is visible to the unaided eye as a fuzzy patch near the famous belt of three stars in the Orion. The above picture captures a part of the Orion Nebula that primarily reflects light from bright Orion stars. This reflection nebula appears blue because the blue light from the neighboring stars scatters more efficiently from nebula gas than does red light. The dark lanes are composed of mostly interstellar dust - fine needle-shaped carbon grains.